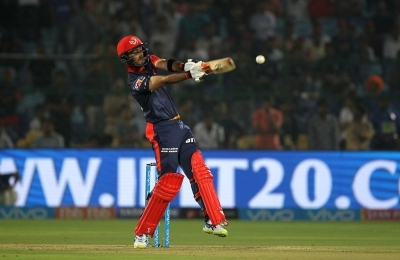 Delhi fell short by 10 runs needing 71 from 6 for victory. 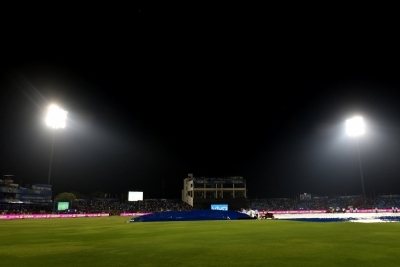 The sixth match between Rajasthan Royals and Delhi Daredevils saw the homecoming of Rajasthan Royals to the Sawai Man Singh stadium after a gap of more than 1000 days. Both teams lost their first games, meant that after the end of the contest, one team would board their first win of the season. Batting first, Ajinkya Rahane (45) top-scored to take RR to 153 in 17. 5 overs, before rain, played a spoilsport in the contest. Contributions from Sanju Samson (27) and Jos Buttler (29) helped Rajasthan's cause. 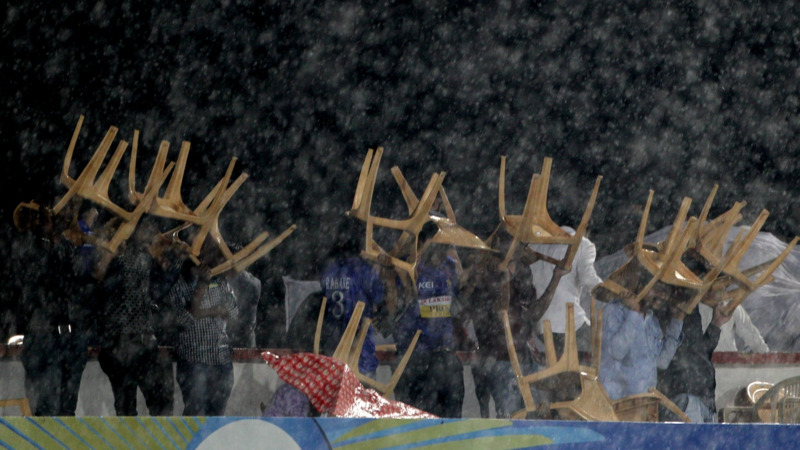 Rain hampered the game for more than an hour after which Delhi was asked to chase 71 from 6. Delhi lost opener Colin Munro in the very first over. Glenn Maxwell scored a breezy 17 off 12 but was dismissed in the fourth over by his Australian counterpart Ben Laughlin in the fourth over. Delhi by then put up 34 on the board. Delhi still fell short by runs with Chris Morris trying his best to take his team over the line. 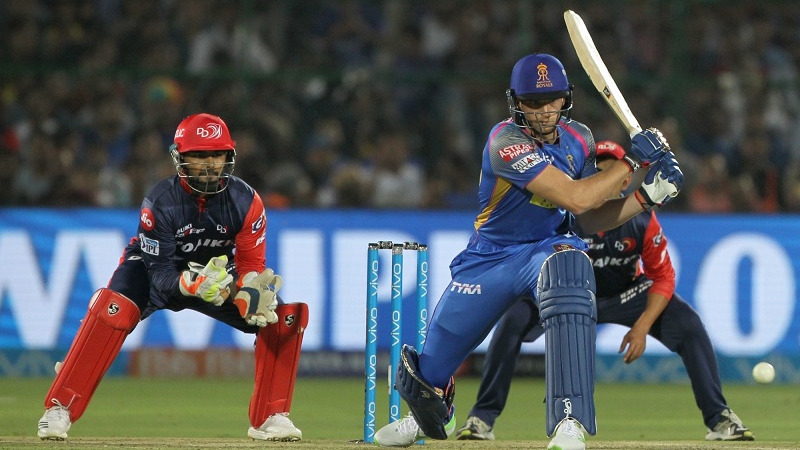 Morris (17) was unbeaten on as Delhi fell short by 10 runs to give Rajasthan two points and their first win of the campaign. 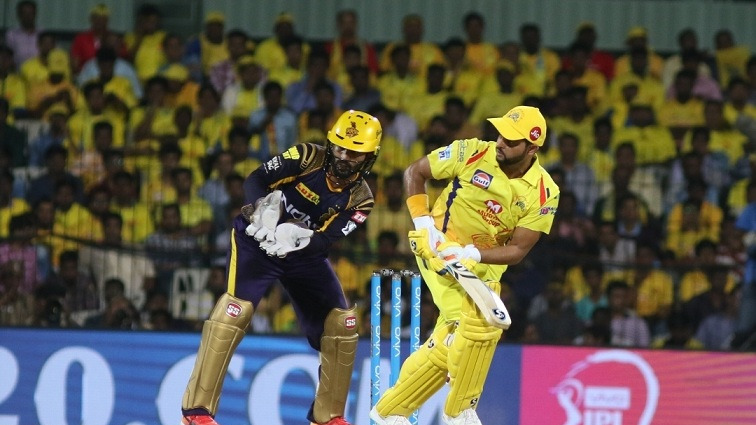 In the quest of a win, DD lost as many as four wickets in just six overs. Here are the best tweets regarding the contest. Off spinner to open to maxwell?! ???? 71 from 6 was a stiff target but with a rusty Maxwell and a struggling Pant, it appeared even more difficult.